Dreaming of a white Christmas this year? How about white sand. 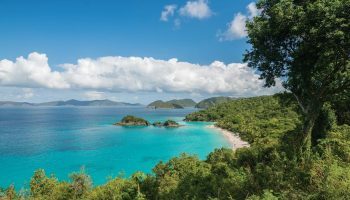 The Caribbean is one of the nicest places to visit during the holidays. 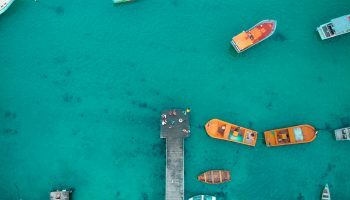 From late-night street parties, family-friendly hotels and carnivals to strolling along warm beaches and soaking up the sun, the islands are perfect for a holiday getaway. 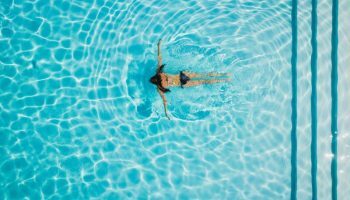 Holiday Season is a busy time in the Caribbean, so book your tickets as soon as possible and prepare to float in the Caribbean Sea this Christmas. 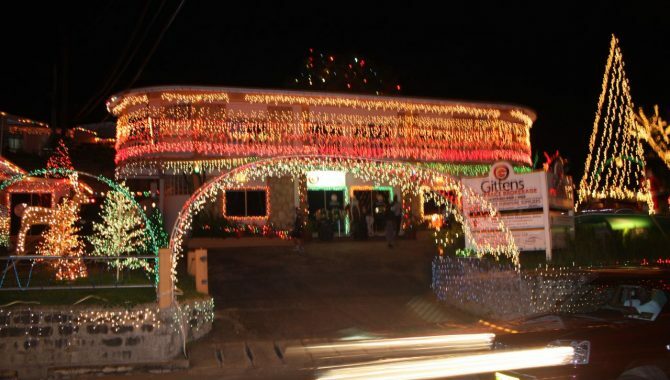 Barbados has lots of festivals and craft fairs during the holidays. The whole island is beautifully decorated and Father Christmas appears at many resorts here during Christmas Season. Like in many U.S. households, Barbadian families attend church for Midnight Mass on Christmas Eve and celebrate Christmas the next day. If you love food, you’ll have a wonderful time in Barbados for Christmas—Bajans are all about their food! During a Barbadian Christmas, you must try Great Cake, Jug Jug and baked ham. Great Cake is made of fruits and spices and liquor. Jug Jug is influenced by Barbados’ Scottish heritage and styled similar to the Scottish haggis. Lastly, try delicious Bajan baked ham, prepared either “crackled” (crispy) or glazed. You’ll find that Barbados is a wonderful destination to take your family during the holidays. The temperatures are perfect in December—from the upper 70s to mid-80s—and many oceanfront beach resorts are family-friendly with plenty of activities for kids. While on the island, consider renting scuba gear and checking out Barbados’ numerous historical shipwrecks. Or, explore the island’s underground caves, stroll in tropical Hunte’s Garden and surf excellent waves at Dover Beach. 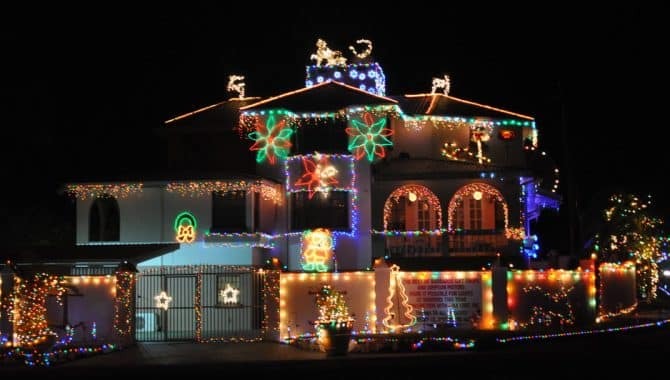 Belizeans love Christmas so much they celebrate it all of December. The weather is nearly always sunny and warm and Belize has world-famous beaches. 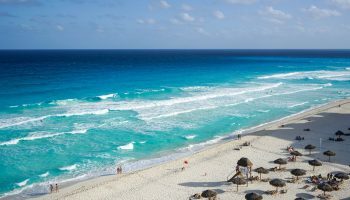 The island’s festivities combine many Christian and Mayan traditions. 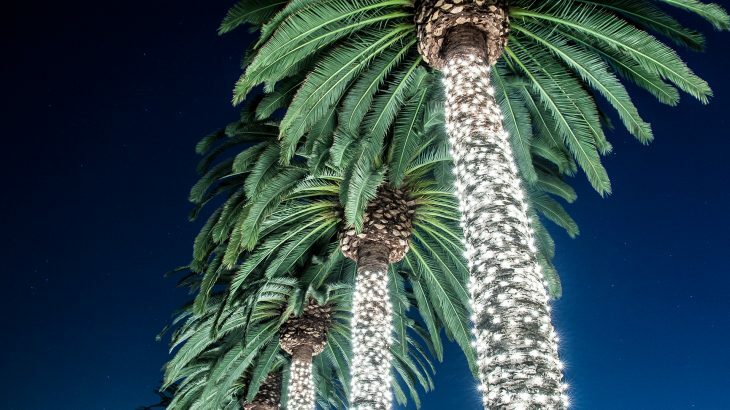 Join the Christmas Tree Lighting in San Pedro, which marks the opening of the holiday season, or check out the Christmas Bram. Here, carolers walk through the streets and play traditional brukdong music while dancing from house to house to spread the good mood. It’s an older tradition and won’t be found in modern Belize City, but smaller villages like Gales Point Manatee will be happy to let you join the festivities. 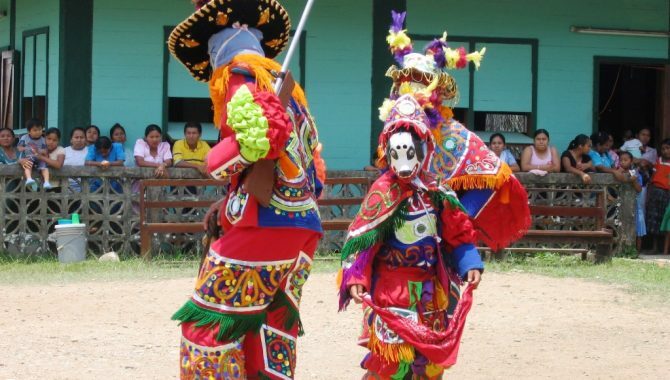 Afterward, head over to Santa Cruz to see an authentic Maya deer dance and learn about Ancient Maya folklore. You’ll also be interested in the Spanish-inspired holiday Las Posadas that runs from December 16 until Christmas Day, where villagers reenact the travels of Joseph and Mary. While in Belize, it’s also a great time to plan excursions to visit the Mayan pyramids and ruins, or go surfing, snorkeling and scuba diving in Belize’s massive Barrier Reef. If you’re not sure where to stay, consider Chabil Mar Placencia—it’s a top choice among travelers! 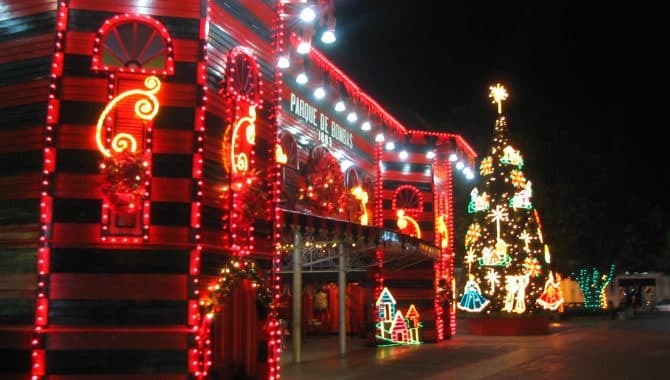 Puerto Rico celebrates Christmas Season from late November through January. In 500-year-old San Juan, the island’s capital, breathtaking lights and colors make it feel like a different world. PR also has its own version of Christmas caroling, called parrandas or trullas navideñas. Parranderos gather at the door of an unsuspecting friend and start singing. After, they get invited in and offered drinks, music and dance. Of course, no one will surprise you—plenty of hints are given before so the carolers know you’re ready to receive a parranda. If you’re not up to partying in PR but still want a nice Christmas beach vacation, head to the beach. Puerto Rico’s beaches stay warm and sun-soaked throughout December. 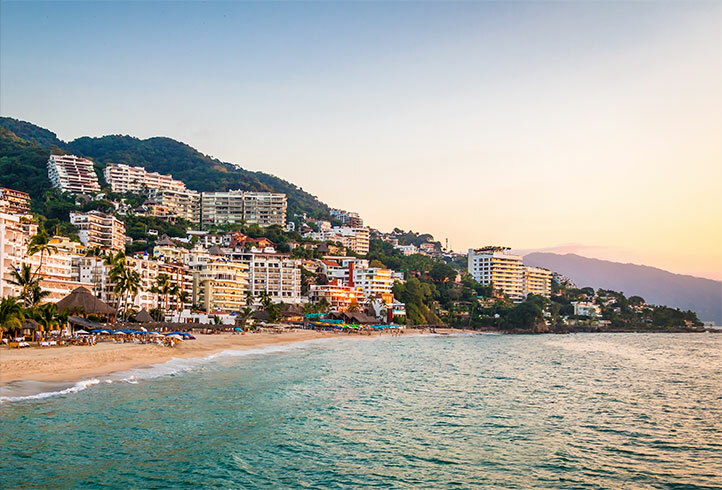 For other activities, consider hiking in the rainforest or joining the islanders in lively salsa dances. If you’re staying through January, you’ll get to celebrate Día de Reyes (Three King’s Day) on January 6. For those who want a quiet Christmas, the lesser-known Emerald Isle offers a serene atmosphere with unique Christmas spirit. The island’s Irish and African past mix into interesting celebrations—like the Festival from mid-December until early January in Little Bay. This annual event in Festival Village includes the “Night of Pan” party and a Soca Monarch competition where a pageant queen gets crowned. Plus, a calypso contest, street party and parade on New Year’s Day. Check out Olveston House for amazing Christmas cuisine or the nearby rum bars for excellent drinks. If you have more time, plan to go hiking in Montserrat’s rugged, lush landscape and climb the island’s stunning Soufríere Hills Volcano. Caymanians have their very own “Caribbean Santa”, clad in shorts and flip-flops instead of the big red Santa suit. 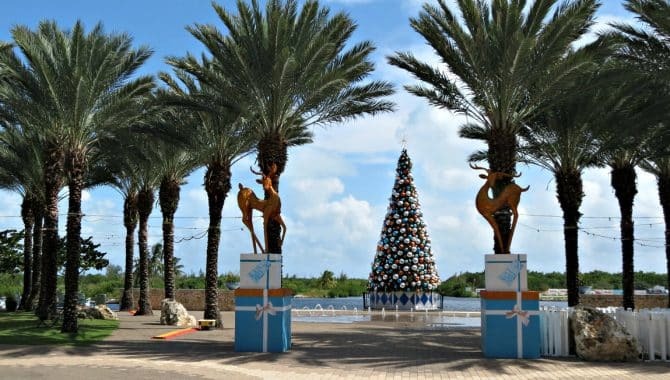 One major attraction you’ll want to see is the Annual Tree Lighting in Camana Bay. The bay is an upscale urban center that literally changes into a Christmas town overnight, complete with a 40-foot tree. Camana Bay also features the Parade of Lights on the first Saturday in December, which includes boats, local choirs and bands, food and craft booths, and stunning fireworks. Check out the Christmas Bus Tour of Lights, which shows the most decorated homes and the historic Mission House. After the tour, join a feast with traditional island cuisine like roast reef and Cassava Cake. 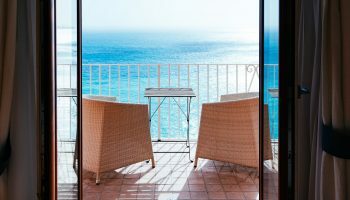 Consider the Seven Mile Beach resorts for a place to stay. Grand Cayman Marriott Beach Resort on Seven Mile Beach is just a short walk from Camana Bay, where you can see the Annual Tree Lighting Ceremony and Parade of Lights. This oceanfront beach resort also features a live band and fireworks for the New Year. Sit back on one of the resort’s many beach chairs and sip on champagne while celebrating Christmas and ringing in the New Year. St. Kitts and Nevis is one of the lesser known islands in the Caribbean and still has the old way of Caribbean life. This dual-island nation is an enchanting place to visit during Christmas Season. If you go in early December you’ll land right during the island’s low season. 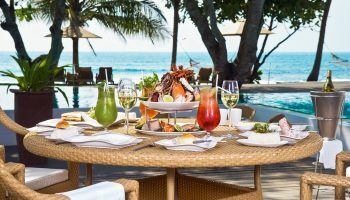 You’ll find the beach resorts here laid-back and friendly and you can stay in jungle retreats further inland for quality time with family amid unspoiled nature. The biggest event is the annual St. Kitts-Nevis National Carnival, also called Sugar Mas. This festival is a dedication to the island’s rich folklore and tradition, with festivities beginning in late November. From Christmas to New Year’s, the streets turn into brilliant colors from the processions, poetry, dance and street performances. “Moko-Jumbies” are the stunning dancers on stilts. During your stay, it’s worth taking time to visit Basseterre, the capital on St. Kitts, or “Sugar City” to the locals. This little town has a rich colonial history and many Christmas and Sugar Mas celebrations. Dance to the contagious beat of soca and calypso music or meet all the traditional characters of the carnival. 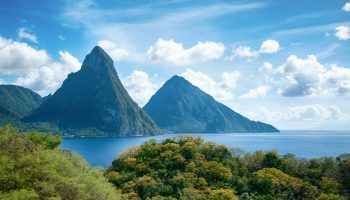 Basseterre offers numerous parties during this time, but if you prefer downtime, visit the local Rastafarian community and learn about their customs. If you stay through New Year’s, you’ll witness the Grand Parade on January 1. 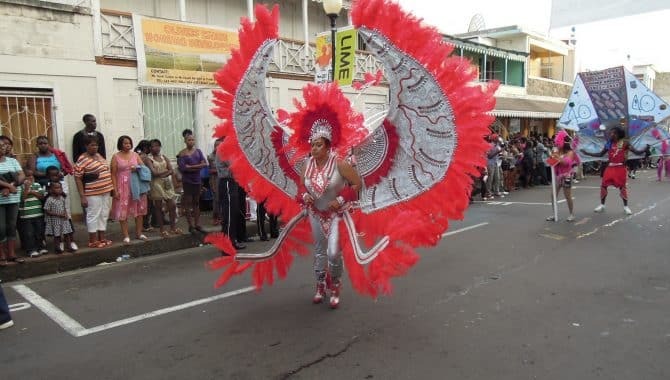 Enjoy an islander ponche-a-cream (Christmas eggnog) while celebrating Christmas the Grenadian way, which involves exciting Christmas masquerades, street parties and festivities on Grenada’s beautiful sun-soaked beaches. For the complete Grenadian Christmas experience, go to Grenada’s famous and beloved Christmas masquerades. Residents wear masks and dress in bright costumes and perform island dances while hosting street parties. This tradition of music and dance during Christmas is known as “yuletide season”. Some of the masks and outfits you’ll encounter are the Wild Cow, the Horse Head and the Policeman. The wild dancers and carolers can scare children, so be careful if you’re bringing children. 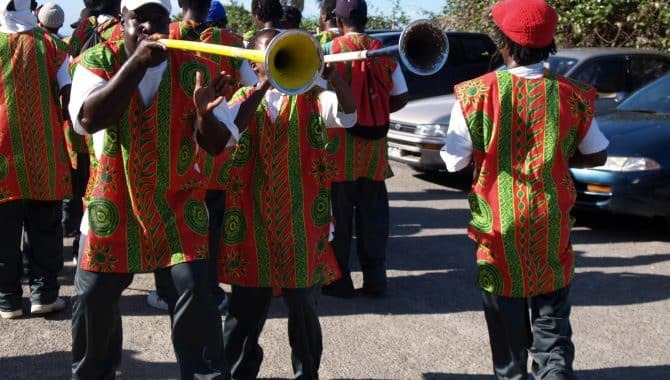 On Grenada, caroling is known as Parang and Grenada’s sister isle, Carriacou, holds an annual Parang Festival. Boats frequently leave from Grenada to Carriacou, so if you have extra time, consider this for your bucket list. For accommodations, True Blue Bay Boutique Resort in St. George’s is the place to go for Christmas. For New Year’s Eve, or Old Year’s Night as many Caribbean islanders call it, locals and guests feast and wait for the brilliant firework show!